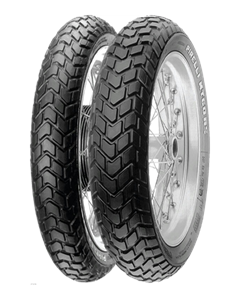 A radial tyre designed for use on superbikes and fun bikes on asphalt surfaces or off road. Specific radial carcass to ensure excellent handling. Tread pattern optimised for use also on wet surfaces. Special Superbike racing compound capable of maximising grip and road holding for a pleasant riding sensation.